Sun – Thur: 6:00pm – 10:00 p.m.
Sunday's- 11:30 a.m. -3:00 p.m.
Public parking is available Washington Ave/2nd Street. Stubborn Seed is the result of pairing unrelenting passion with an unapologetic approach. 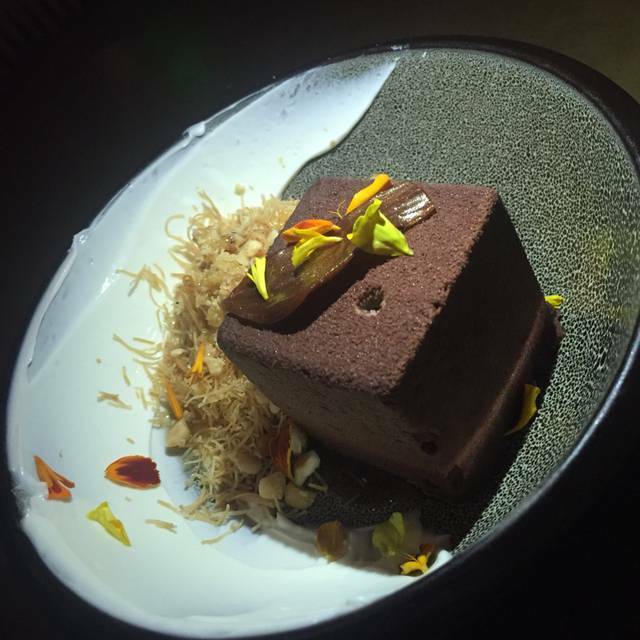 It aims to unearth cravings of the palate while constructing a reward in each bite. This philosophy takes honest ingredients and elevates them to be splendidly elegant through rigid and persistent execution. There is an undeniable spirit surrounding the Stubborn Seed that stems from Jeremy Ford. His tenacious demeanor and candor define the cuisine, but his technique boosts it. An exceptional and memorable dining experience is championed above all else. * Please be advised when booking a reservation that the availability of our tasting menu ends one hour prior to closing. * For parties larger than 6 people please email reservations@ stubbornseed.com with your request. poblano cucumber lime | littleneck clams | bitter lettuce "butter"
Join us these Easter Sunday for a delicious 3-course prix-fixe brunch menu. Brunch is served from 10am-4pm. The quality of food and portion size for the 8 course surprise chefs tasting menu far exceeded my expectations! 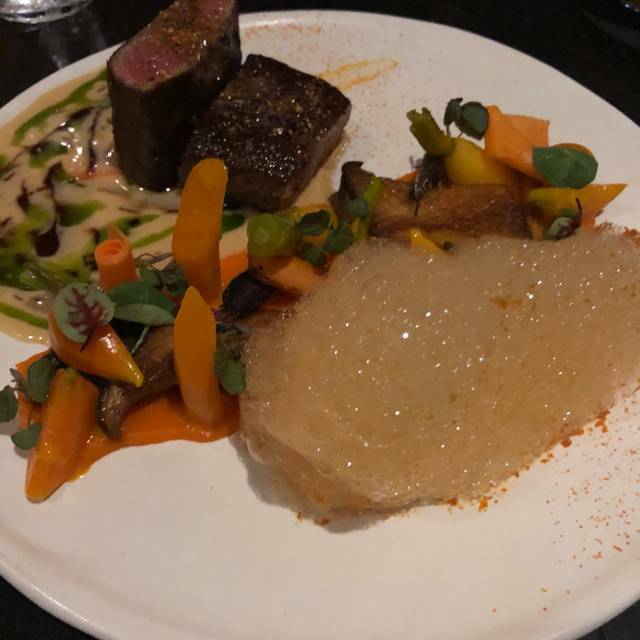 The wagyu beef was phenomenal, as always that way so it’s where my favorite, however what really took the cake was the year Impressive celery root dish. What a wonderful evening!! So loud. Incredibly beautiful food, the ambiance of the restaurant doesn’t match the quality. Never a disappointment. A favorite worldwide. Easily one of the best. Stubborn Seed is unassuming on the outside, but the food and service inside are outstanding. Best foie gras dish I've ever had. Jeremy's play on textures is incredible. Every bite more satisfying than the last. Service was great. They were knowledgeable without being pretentious and seems like everyone is proud of the food they serve. Definitely one of the most enjoyable nights on my trip to Miami. Excellent food! Desserts were not on the same level as the rest of the food, however. Best meal our party EVER had! We thought the entire experience to be wonderful. We also went for Sunday Brunch, but were hoping for more egg meals, less sweet. Highly recommend dinner!!! best food in south beach. a party in your mouth! only drawback is it's very noisy. I love Stubborn Seed. Food is creative and delicious. Presentation is exceptional. Unfortunately they were short handed the other night and service was slow. They did comp an entree since the timing was way off. I wish they could do something about the noise level in the dining room. Makes for a very unpleasant experience when you're trying to engage with your dinner partners. Definitely order the chicken! Incredible menu and the flavors were outstanding. Well done all around and we will be back! Everything was amazing, from the food, service, atmosphere, and creative and unique menu. Highly recommend. Simply incredible! Food is outstanding! In South Beach come here! Just let them bring you food.Beautifully presented, delicious, inventive satisfying. Surprising amount of choices that would work for Vegetarians. Spectacular blend of flavors, reasonable portion sizes. Wow desserts! Smoked banana ice cream one of the best flavors ever tasted. The price for what you get is a crime. I left feeling hungry, unsatisfied and extremely disappointed. The 8 course meal took forever. We repeatedly told them we had to leave and nothing was done to expedite the meal. Course are are small and fair at best. They had to substitute a course on me because I was allergic to an ingredient so they gVe a bowl of lettuce with parmesan cheese, not even dressing. Meal took almost 3 hours. Do NOT recommend!! 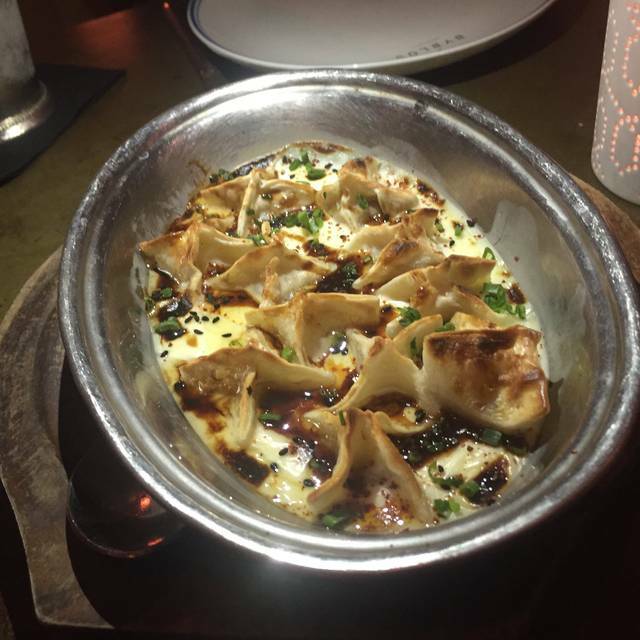 Many other places in Miami to get a better meal. Food was an A+. Service was subpar. Kitchen timing was off. Lots of time between courses. Ambiance lacked intimacy and didn’t stand up to the food. Food was wonderful, but service is absolutely neglectful. We were sat next to a large group that were over served and yelling across the table at each other 1/2 way through our meal. An absolute shame that the shortcomings of the dining experience overshadowed the thoughtful and more than delicious food. 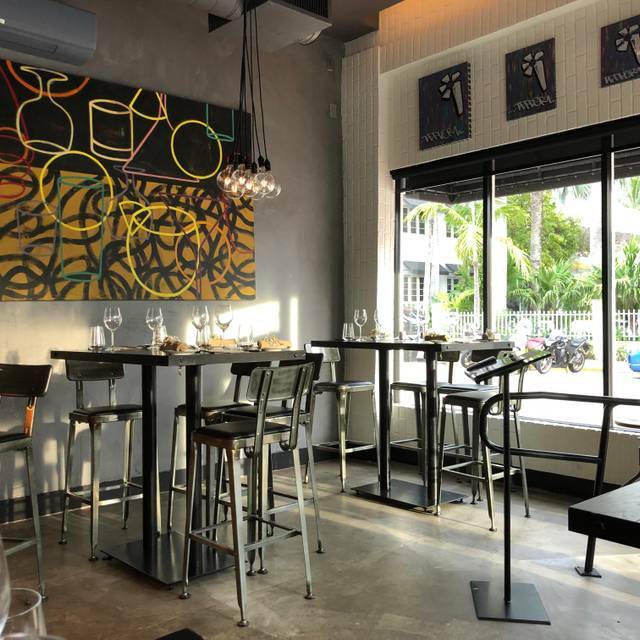 The Stubborn Seed is an amazing find in Miami Beach. 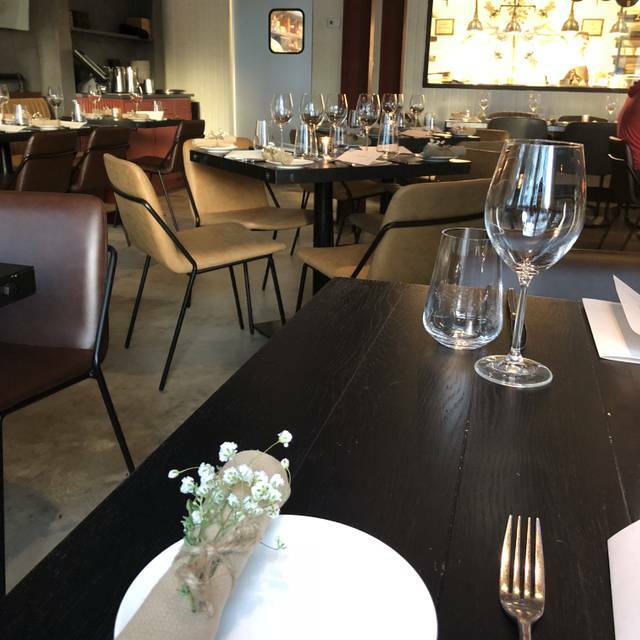 The cuisine is every bit as good as many of the Michelin starred restaurants I've dined at in Copenhagen, Paris and New York. I would highly recommend this restaurant and it's formidable chef to anyone interested in a unique and exceptionally delicious dining experience. Overall it was excellent. The food was exquisite and service outstanding. We will definitely be coming back. Beautiful experience from start to finish. One of the best meals I've had. Steak and dish were delicious. The fluke dish and salad were very salty. Everything was delicious but the fluke appetizer and snickerdoodle cookie were two of the best things we’ve eaten so far in 2019. 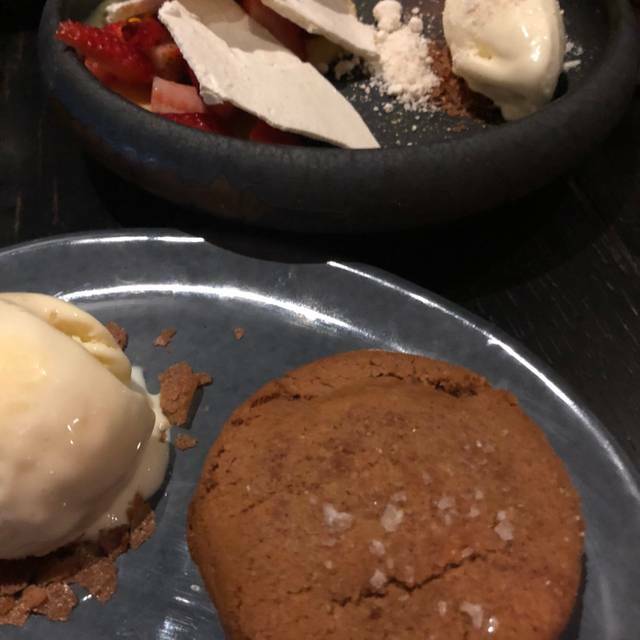 We never would have ordered the snickerdoodle cookie but after asking our server what he would recommend that was his pick. It’s nondescript on the menu but it’s stuffed with decadent French chocolate. To die for! We had a great experience! Too late for 2019, but hope to see this restaurant on the James Beard nomination list in 2020. We had such a great experience !! There were 4 of us and we actually ordered everything on the menu ! It was an amazing tasting the chef is incredible and staff couldn’t be any nicer. We will definitely be back to try the dinner menu !! The food tastes really great. Was hoping to see Chef Jeremy but was not there. I tried their chef tasting menu and the delivery of food from 3rd- 4th Course took 24 minutes. They got overwhelmed by the orders I guess. Still recommendable for the great food. One of the best meals of my life!!! GOOD VIBE RESTAURANT BUT TOO SMALL TO ALLOW GROUPS OF OVER 6 ..IT GETS VERY LOUD. 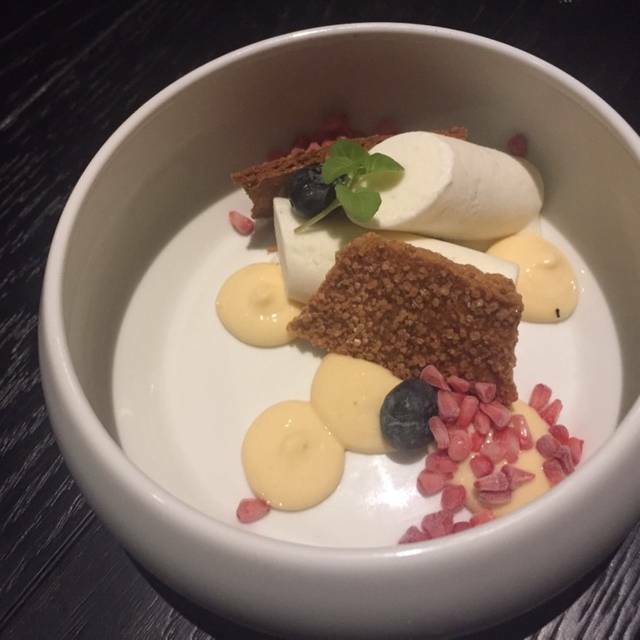 FOOD IS VERY WELL PRESENTED AND DELICIOUS....BUT FOR THE LAST 6 MONTHS, MY WIFE AND I HAVE DINED AT SS 4 TIMES AND FOUND THEIR LIMITED MENU HAS NOT CHANGED! Great presentation, great food. All the waiters were extremely responsive. Would recommend to anyone! Great 5 Course Tasting Menu. Good wine list. I will go back and explore ala carte menu, even though South Beach is a challenge to drive to and parking is an issue for the area. Quality of food is worth a visit but service and level of service is not adequate. Delicious and creative food with attentive and well-informed service. The evening started out well, our appetizers came out on time, but it took over 45 minutes for our main course dishes to come out. We had to get our waiter over to ask what was happening and he said it would be a while , we had to get the manager and tell him how poorly he was handling the situation. They comps us a bottle of wine after we had to tell them what we wanted, it should have been offered to us instead of us asking for it. The food was great, the rest of the experience was horrible. Our 2nd time to this gem of a restaurant. 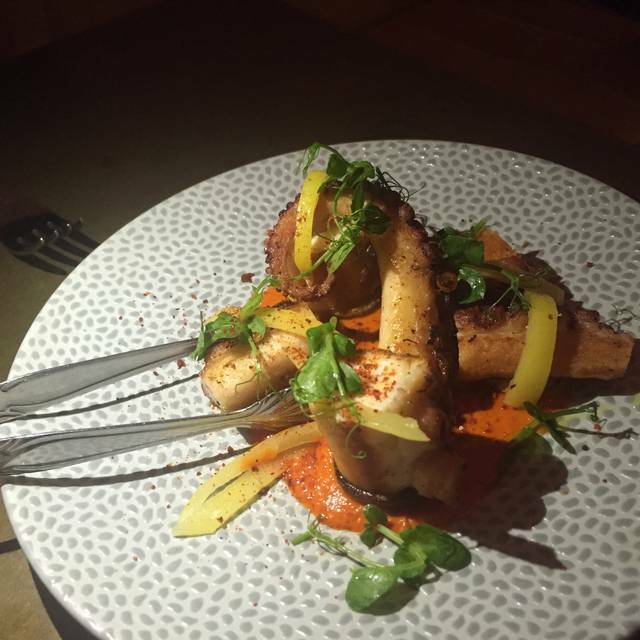 Once again we found everything about this dining experience to be outstanding! 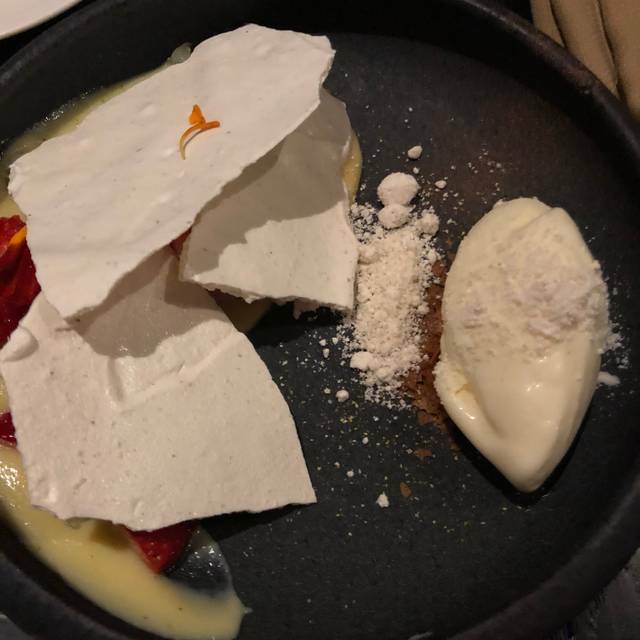 I can’t describe adequately the beautiful presentation of each course and the experience of tastes exploding in your mouth with each bite!! Excellent food, some courses a bit slow but was given a glass of wine to compensate! Service was great! Definitely one of the best places to eat on south beach! Would definitely recommend!!! !